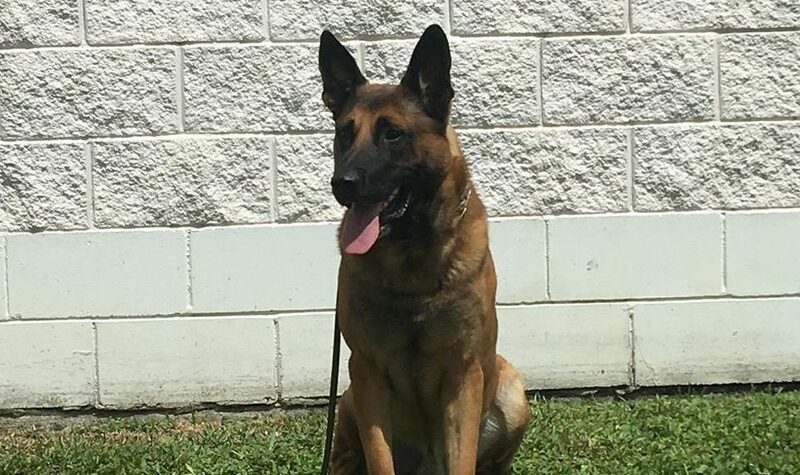 Multiple law enforcement officers are searching for Edo, a Charlotte County Sheriff’s Office K9. Edo was last seen around 8 p.m. Saturday near his kennel at the intersection of Cranberry Boulevard and Tamiami Trail, the sheriff’s office wrote in a Facebook post. He is 105 pounds and was not wearing a collar. The North Port Police Department is also investigating Edo’s disappearance. Anyone with information should call the sheriff’s office at 941-639-0013.